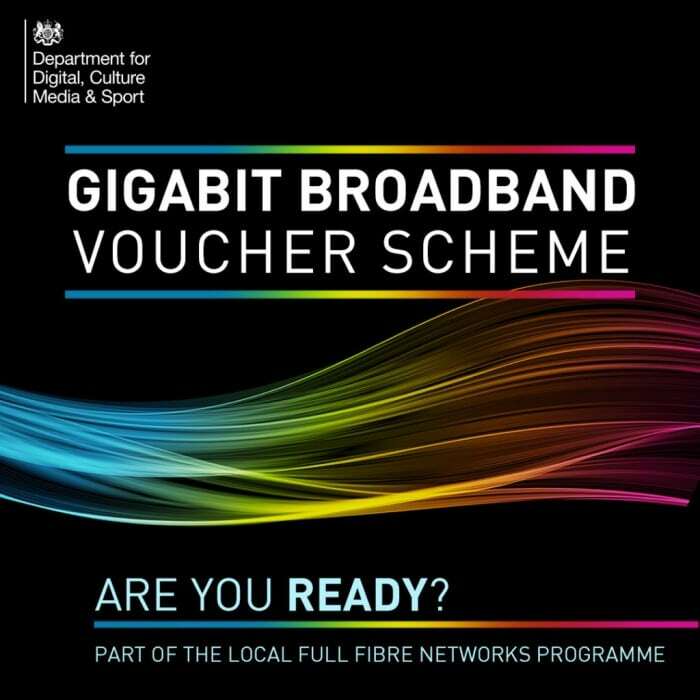 The Government’s Gigabit Broadband Voucher Scheme has had high demand for its vouchers that it will end in March 2020, rather than March 2021 which was initially planned. To ensure that the benefits are reaped by all, businesses around the UK are being urged to make use of a £2500 voucher for gigabit broadband speeds before the scheme closes. Exascale are now able to offer this incentive across it’s range of gigabit-capable leased line offerings. Available for small to medium businesses, the Government’s gigabit broadband voucher scheme offers the fastest and most reliable internet connectivity to businesses as part of the its commitment to a full-fibre Britain. For businesses which are eligible there’s an up to £2500 grant to use against the costs of a Gigabit Leased Line connection. Whether it’s hardware or excessive construction charges, we will be able to help you in the best way possible to maximise the value from the Gigabit Broadband Voucher Scheme. The scheme is only available on Gigabit-capable connections, you’ll have to have a minimum of a 100Mb provided by a gigabit capable Ethernet Leased Line connection to be able to obtain a voucher.